Pretty, due to the natural beaty surrounding it. In steep locations of the “Beira Interior”, there are plenty of vestiges which prove for how long Man is in this regios. From the fifth century AC survive vestiges of towns protected by walls on top of the mountains. History tells that in November of 1199, D. Sancho I – O Povoador, 2nd King of Portugal, concedes Foral to Guarda. Also by his hand, and with permission from Papa Inocêncio the third, there has been transference of the old visigoth “diocese” from Egitatia to Guarda. Constructed between the fourteenth and the sixteenth century, it reflects the evolution of the constructive philosophies that run throughout those centuries. From the roman style to the manuelino style, the Cathedral knew how to incorporate and harmonize the diverse architectural currents. In its interior, you should analyse with care the altarpiece of “Joao de Ruão”, faithful representative of the Christian life, and the “Pinas’ Chapel”, imbued with elements from the Renaissance, for example the floral and animal motifs. It is the highest Castle in Portugal (1056 m). It possesses a walled perimeter involving all of it’s medieval core. The isolated “Menagem Tower”, is located upon a hill and the “Blacksmith Tower, on the hillside, is adossed. The beginning of the construction of the walls has taken place in the end of the twelfth century. The first turret was built up in the reing of “D. Sancho II”. 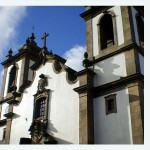 The “Menagem Tower” was also erected in that era. The construction of the Castle endend, after construction outbreaks, in the fifteenth century. It is a castle of roman-goth type. The walls perimeter is of irregular configuration. The “Menagem Tower” has an irregular pentagonal base. The “Blacksmith Tower” has square base, featuring double doors. Of the ancient doors of the walls are of notice: the “Blacksmith Gate” and the “Weed Gate” (or “Star Gate”, to the East; the “King’s Gate” and the “Faux-Gate”, to the North. The Jewish quarter had its beginning near the “King’s Gate” and extending up to the churchyard of St. Vincent, limited by the wall and the “Straight Street” that led to that Port. In 1465 this access was closed due to the protests of Christians. The Jewish municipality of Guarda was for long periods one of the most important in the country and is considered one of the oldest. It is proven that it dates back to the thirteenth century with tenure, by D. Dinis, the parish house of St. Vincent to Jewish families, having installed the synagogue in one of them. Baroque monument dating from the eighteenth century, stands out on its inside the tile panels, dating from the same era and depict scenes from the life of Christ. It is a beautiful building from the seventeenth century, but has undergone profound changes in the eighteenth century, as evident by its Johannine facade, where stands the image of Our Lady of Mercy. The Museum is composed of collections of archeology, numismatics, sacred sculpture of the thirteenth to eighteenth centuries, religious painting of the sixteenth to the eighteenth centuries and armory the seventeenth to the twentieth centuries. We also find pottery, photography, regional ethnography, painting and drawing from the late nineteenth and 1st half of the twentieth century. Deserve particular attention: two swords from the Bronze Age, one annular fibula Hispanic of the fifth and sixth century B.C., a collection of Roman numismatics and a torso of the Roman Imperial of the second century; in sculpture, polychrome granite of the thirteenth century, representing Our Lady of Consolation, the Altar of the Annunciation sixteenth century and the backs of the stalls sixteenth and eighteenth centuries; the armory collection includes pieces from the seventeenth to the twentieth century, documenting the evolution of weaponry; in painting we find drawings of Carlos Reis, António Carneiro, oils of Columbano, Eduarda Lapa, Almeida e Silva and João Vaz, among others; the ethnographic collections allow a reading of the main economical activities of the region. Important monuments of the history of Portugal are present in the collection of Castles, Forts and 8 Historical Villages that the region displays. Belmonte. Originated in 1199. Here, born Pedro Alvares Cabral, discoverer of Brazil. Guarda: Started at the end of the century. XII, is the castle which is located at a higher altitude in Portugal (1,056 m). Sequeiros Bridge: Fortified Bridge over the Coa River, was border toll. Dates of the thirteenth century. 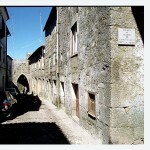 Sortelha: Dating from 1228, figures in the core of the Historical Village. Sabugal: Erected by Afonso IX of Leão, probably in 1190. It has 5 towers. Alfaiates: It originated in the thirteenth century by order of Afonso X of Leão. Integrated Portugal in 1297 (Treaty of Alcañices). Villar Maior: Year 1232 and had the same origin as the previous. Castelo Mendo: Originated at the end of the ninth century in the reign of D. Sancho I.
Castelo Bom:He was set to be rebuilt by King Dinis as a walled waist of the settlement. Pinhel: Situated right in the urban environment and its construction is due to D. Sancho I (1189). The towers are due to D. Dinis. Fortaleza de Almeida: It is one of the most spectacular European military forts with construction (Vauban style) from 1641. Castelo Rodrigo is situated in the center of the historic village and its reconstruction is due to D. Dinis. Trancoso: includes the historic center of the spectacular walled town. The castle originated before 1159 (Dinis). Celorico da Beira: was conquered from the Moors by D. Afonso Henriques and restoration works were attended by the Templars. Linhares: On top the historical village, with a very ancient origin. The weights clock existing in one of the towers, dates from the seventeenth century. 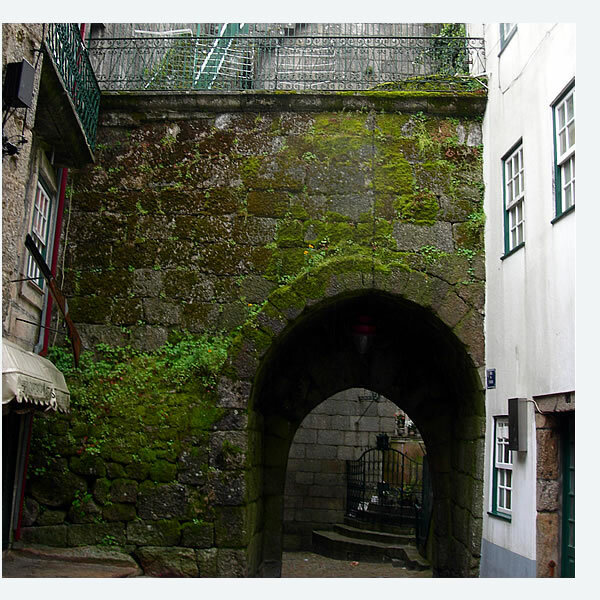 Avô: Located in the beautiful village of Alva River retains some sections of walls. The current traces are of D. Dinis. Bemposta: Remaining traces of the Keep this border town in the municipality of Penamacor, which was the county seat from 1510 to 1836. 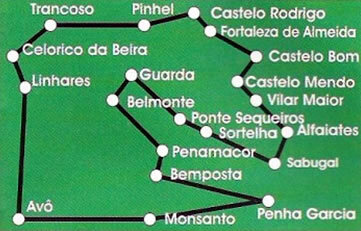 Monsanto: Integrates the Historical Village and the Castle already existed in 1172. Penha Garcia: Overlooking the Pônsul river valley. 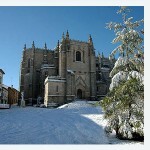 Penamacor: Integrates historic center of the border town and exists there probably since 1189. It is the story of those who are the last secret Jews sefardist coming from generations resistant to the Inquisition. 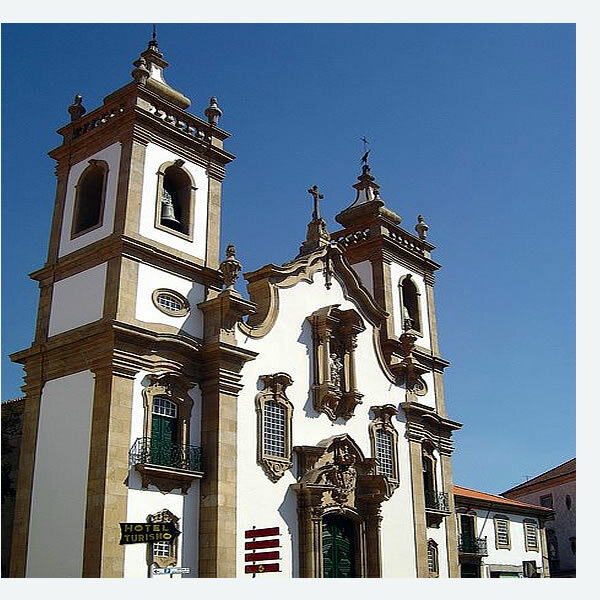 Until the twentieth century, the world was unaware of the existence, within Portugal, the last Crypto-Jewish community in the Iberian Peninsula and perhaps in Europe. Near the Serra da Estrela, is Belmonte, live human memory of the rich and ancient Jewish and Portugal where about 200 people form the current Jewish community. There lie also the lands that as Covilha, Guarda, Trancoso, Linhares, Celorico, Pinhel, Penamacor and others are references to the former Portuguese sefardistas communities. -Jewish Museum; Synagogue of Belmonte; Historic center. – Flower Street; Gates of the Sun; Museum of Wool; Adega Cooperativa (Kosher wine production). – Jewry; National Museum of the Guard. – Sacred Art Museum (with Synagogue stone dated 1496). – Bridge Street; Straight Street. – House of the Dark Cat; Straight Street; Corredoura Street ; Historic center. – Street of St. Peter; Penazeites (Kosher olive oil production). 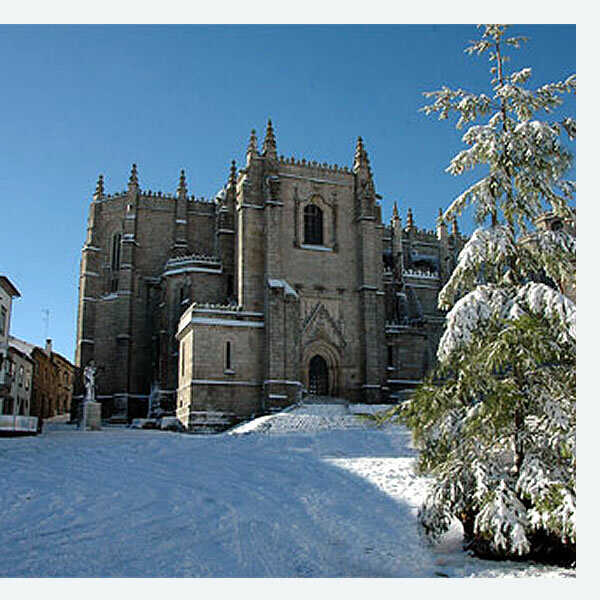 One of the most important European Cultural Routes has on the Serra da Estrela a true showcase. Wool activities exist here since the dawn of nationality. For centuries the subject of Domestic / Craft work, the artifices of wool evolved in the seventeenth century for the great Manufactures and in the nineteenth century for the powerful industrial factories. 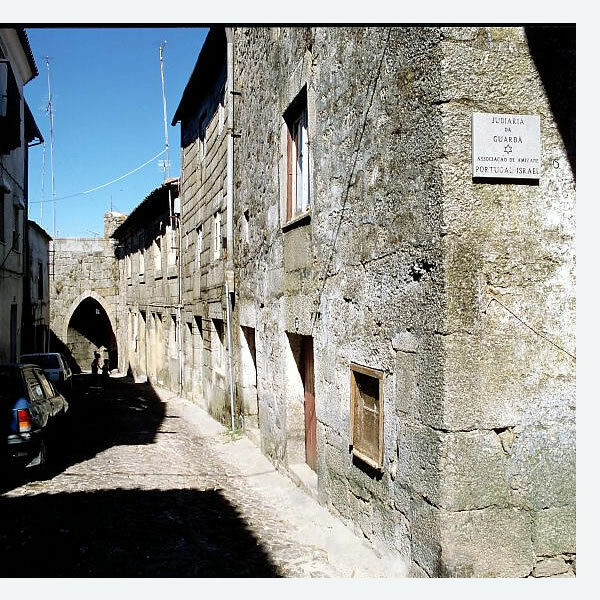 Covilha, Butters, Seia, Gouveia, Pinhel, Guarda and Penamacor make so that Serra da Estrela approaches thousand years of working wool, spinning and weaving a single archaeological-industrial heritage in international terms. 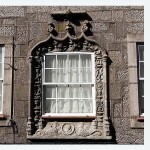 Symbolically, the wool is the dean of the Portuguese industries. 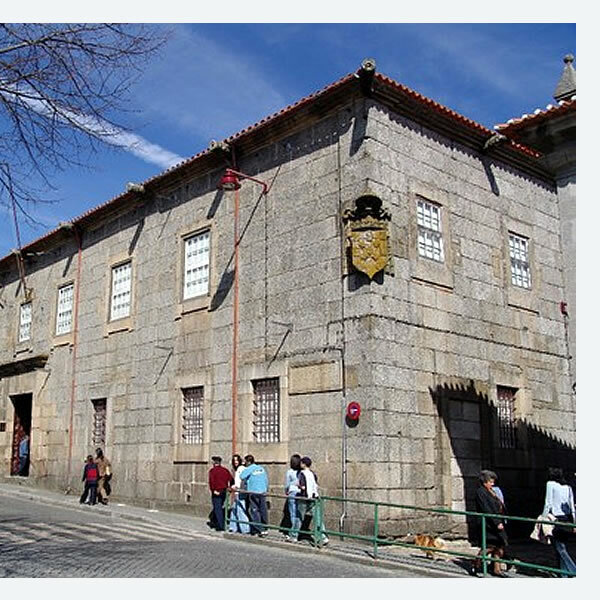 “The best museum in the country” – Portuguese Association of Museums. “The best textile museum in Europe” -UNESCO. 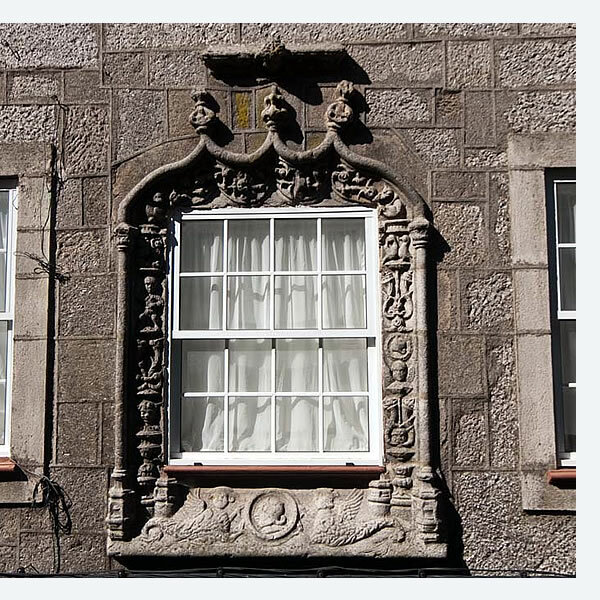 A city that is a hymn to work, some of the main monuments are depicting the history of Portuguese Industry. The Wool Museum of the University of Beira Interior consists of three sections: the first corresponds to the occupation of part of the Royal Marques de Pombal Textile Factory and integrates the famous furnaces of the eighteenth century; another, the Royal Veiga Factory; the third corresponds to existing Sun Râmolas at various locations of Covilha in the open sky. – Mouse Bridge, Ribeira da Degoldra; archaeo-industrial complex in Ribeira da Carpinteira; Sun Râmolas and wool estendouros in Sineirinho; Workshop artisan (Maria Celeste). – Riverside Houses and of the Bridge (Rural Tourism): built in the units of a wool factory where they manufactured the 1st blanket of industrial production in Portugal. Seia, S.Romão, Loriga, Tortosendo, Trinta. Unique in Portugal, the Serra da Estrela Glaciers Valleys are now a showcase of how glaciation left the best witnesses. Discover the Route of the glacial valleys. Thousands of years ago, the Ice Age in the Serra da Estrela allowed the existence of perpetual snow (from 1.650m) which merged during the year getting compact and giving rise to the ice. Like this. Eventually form an icy summit at the Presidential Tower which has a surface area of about 70 km2 and a thickness of 80m. Corresponds to the larger glacial tongue Serra da Estrela, reaching 13 km long. Since the Covão Ametade (birthplace of Zêzere), the valley extends to the village of Manteigas always in the characteristic U shape. It is the largest glacial valley in Europe. Situated in the opposite projection of the Glacial Valley of the Zêzere, originated by a glacier that reached 5.5 km long and dissolved to an altitude of 800m. Situated on the west side, the glacier Loriga almost reached the current site of the village. Having commenced 1,750 meters above sea level, near the Plateau tower, it presents a series of four Covões (some with dams) abruptly down a length of 7 km. Largest tributary of the Tejo River, is born in the heart of Serra da Estrela. – Covão Ametadae next to the Slender pitcher (1.926m), is the birthplace of Zêzere. – Glacial Valley, the largest glacial valley in Europe. – Skiparque in Sameiro, with synthetic ski track and adventure park. – Golf Course in Gaia / Gonçalo. – Ecomuseum Zêzere River, Belmonte. – Mines of Panasqueira / Covilha: the only wolfram mines in Europe. It rises 1,425 meters above sea level, along the road linking Manteigas to Gouveia and is one of two major exclusively Portuguse rivers. -Mondeguinho, River cot / Penhas Douradas). – Dam of Cauldron Riverside (Guarda). – Mondego Valley and its T.E.R. – Ribamondego and Palhés Bridge in Gouveia. – Penha Viewpoint of St. Cosme, Oliveira do Hospital. Tributary of the Mondego River, has a great diversity of landscapes on a path that starts in high mountain. – Rossim Valley, birthplace of Alva (1.425m). – Sabugueiro, the highest village of Portugal (1.072m). – Mrs. From Exile (S.Romão)..
– Alva Valley with Caldas de S. Paulo, Ponte of 3 inputs (campsite), Grandfather (sixteenth century houses and river beach). – Pousada Convento do Degravo (in Vila pouca da Beira) and Rural Quinta da Geia (Aldeia das Dez). It is one of the main tributaries of the River Douro, born in the farther south, near the Serra da Malcata Natural Reserve, near the village of Foios. – Fortified bridge of Sequeiros in Valongo. The cold, plenty of game and fishing, agricultural and pastoral activity have led the inhabitants of the district of Guarda to develop a very characteristic cuisine and fundamentally based on local resources. So come to us dishes of game and fishing in the various ways of cooking the partridge, hare, rabbit, wild boar and trout. For those cold winter days it is advised the “heavy dishes”, based on grain, beans and cornmeal. Cooked to the Portuguese, the lamb, the cod and the traditional Chouriçadas , accompanied by a local wine, appear in almost all restaurant menus. No final de uma refeição beirã somos, naturalmente tentados a saborear a doçaria tradicional, onde duas vertentes distintas se apresentam; a doçaria conventual, como as famosas Sardinhas Doces, os Bolos de Requeijão, o Requeijão com Doce de Abóbora, as Cavacas; e a doçaria de origem mais popular que inclui as Filhós, os Esquecidos, os Biscoitos de Azeite e os Folares da Páscoa. At the end of a Beira-like meal we are naturally tempted to taste the traditional sweets, where two distinct areas are presented; the convent sweets such as the famous sweet sardines, the Cottage cheese Cakes, the Cottage cheese with pumpkin jam, the Cavacas; and of a more popular source, of sweets including the donut, the Forgotten, the olive oil biscuits and Easter cakes. E ainda é possível saborear um bom pão cozido em forno de lenha. Se a tudo isto juntarmos o mel produzido na região e finalizarmos com um “naco” de Queijo da Serra teremos sem dúvida apreciado um pouco do que é a riqueza da gastronomia do distrito da Guarda. And you can still enjoy a good bread baked in a wood oven. If to all this we add the honey produced in the region and finalize with a “loaf” of Mountain cheese we will no doubt appreciated the riches of the gastronomy of the Guard district.